Remember those old stop-motion specials that were shown every year at Christmas? 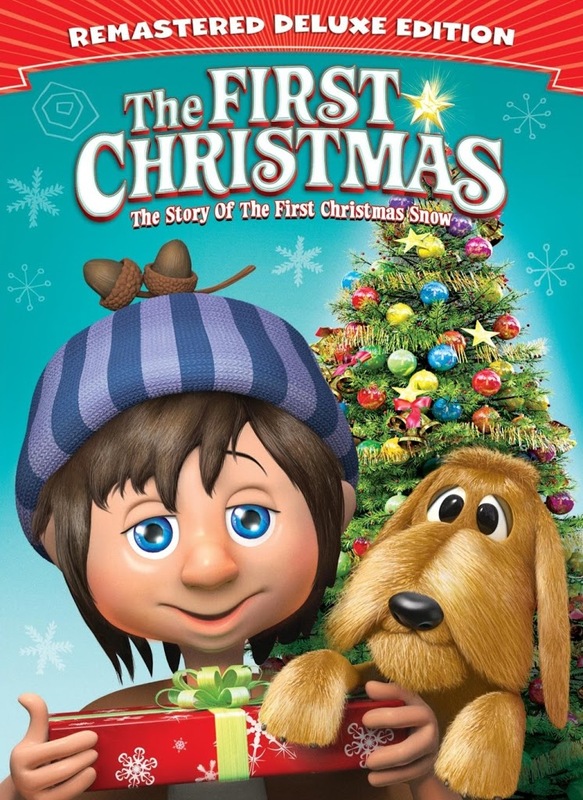 The First Christmaswas produced in 1975 by Rankin/Bass and is now available on DVD from Warner Bros. Home Entertainment. Although it goes by fairly quickly, with a running time of only 24 minutes, this is – quite frankly – one of the crappier Christmas specials of yesteryear. I’m speaking from the point of view of my eight-year-old self, the kid who couldn’t wait to see Rankin/Bass specials like Rudolph or Frosty the Snowman. A child shepherd named Lucas is tragically blinded in a storm and gets taken in by some nuns. He handles his new disability with grace. In fact, he seems to not even miss his sight, for some reason. As the nuns prepare to stage their annual Nativity play, they announce that Lucas will be playing an angel. Even though some of the other children express their disapproval of a blind newcomer taking part in their play, rehearsals proceed as planned. Later on, Lucas expresses a desire to experience a white Christmas. In fact, he doesn’t even know what snow is and has to have it explained to him by the nuns. Beyond that, there isn’t much more to this short special. Lucas has a cute dog named Waggles that serves as his aide and companion. The dog will probably be a highlight for many young viewers since this isn’t an especially “kid friendly” show. I don’t mean to suggest there’s anything inappropriate in its content. But the problem with it is that The First Christmas is the kind of special that parents make kids watch, rather than one that kids want to watch. It’s much more serious in nature than those other Rankin/Bass specials mentioned earlier. A treat for older viewers: Angela Lansbury provides narration. Warner has really pulled a fast one here by billing this as a “Remastered Deluxe Edition,” as stated at the top of the DVD case. First of all, this is a pretty nasty transfer, full of specs and other visual artifacts. Secondly, most “Deluxe” editions of anything include an array of bonus features. The only thing included here is an eight-minute featurette called “Celebrate and Create: Holiday Cards That Kids Can Make.” The title is self-explanatory and, aside from a few random little clips of the special thrown in, has nothing to do with The First Christmas: The Story of the First Christmas Snow. At 24 minutes, this is simply too short to justify its 19.95 MSRP. Even if you buy it discounted from Amazon or somewhere, the lower price is based on that ridiculously inflated suggested retail price. My advice? Don’t make your kids sit through this. Save your money for something else your kids will actually want to watch year after year.